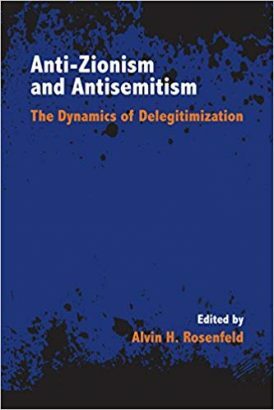 Feldman advanced two reasons to deny that Holocaust inversion is antisemitic discourse. First, the inversion is banal (my word, not his)—that is, it is a ‘much used rhetorical device,’ a common rhetorical trope used in many arguments about many subjects, often light-mindedly, lacking any specifically antisemitic content. Feldman cited attacks on the UK Independence Party as Nazis as one example of banality and Israel’s leaders calling its enemies Nazis as another. Second, Feldman pointed out that the inversion is not motivated by an anti-Jewish subjectivity. The target, he points out, was Israel, not Jews; therefore, the inversion cannot be antisemitic. Only when discourse ‘endorse[s] Nazi persecution of Jews’ (e.g., brandishing a ‘Hitler Was Right!’ placard on the high street, as at least one protestor did in 2014) did Feldman consider it antisemitic.